I made this cake for a dear friend for her Mother’s 80th birthday last summer. 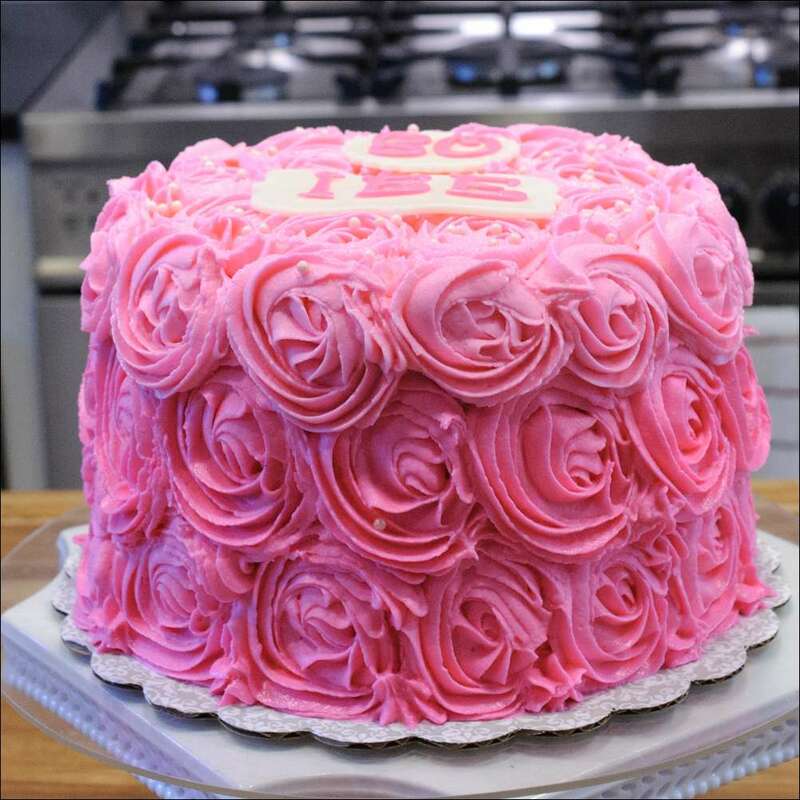 She wanted a simple, elegant cake and this buttercream rosette swirl design fit the bill. 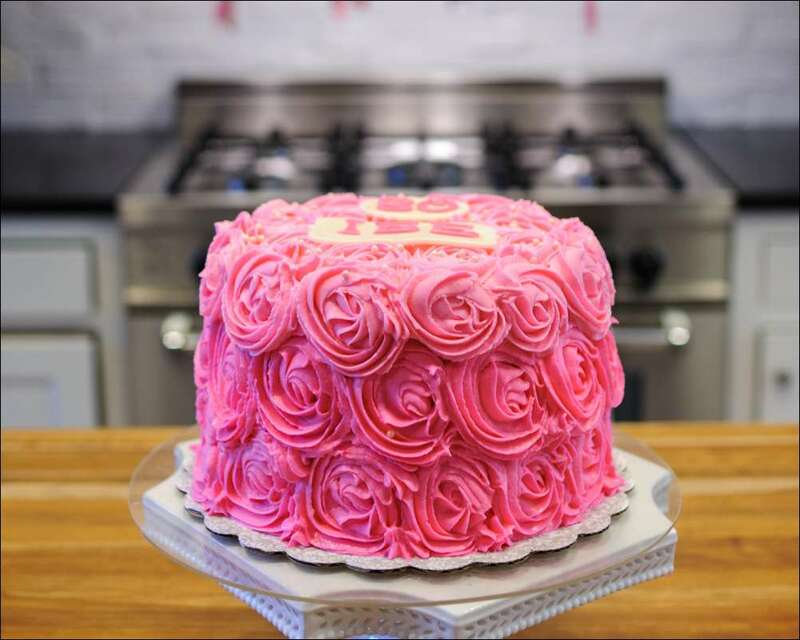 It’s a 3-layer 8″ sour cream almond cake with raspberry mousse filling, covered in raspberry flavored buttercream with swirls made with a Wilton 1M tip. The pictures don’t show it very well, but the swirls were actually pink ombre (graduated darker at the bottom to lighter at the top). I added pink pearls to give a little shimmer and made a monogram plaque with her initials and age from homemade marshmallow fondant. Happy birthday, Lisa’s dear mother!